How can I use my current Latitude and Longitude data to create GIS maps without adding anything to my source database? Firstly, you will need to create a field containing your Latitude and Longitude data in a format Yellowfin can use for GIS mapping. You’ll then need to convert the field to geometry, ready to be used in maps. If your latitude is -37.83 and longitude is 145.03 then the result of the calculated field should be: POINT(-37.83 145.03). Note: you can create this calculation using either the Formula Builder or FreehandSQL field types, depending on how comfortable you are with SQL. 2. Now format the field, adding a converter on the Data Conversion tab. 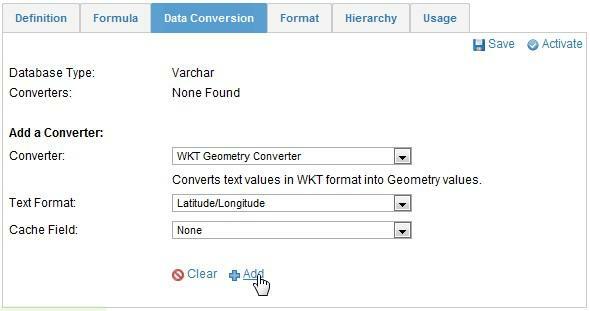 You will need to add the WKT Geometry Converter. 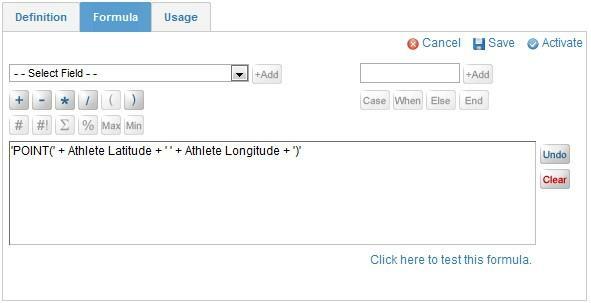 The Text Format option allows you to choose which order you put the latitude and longitude fields in your calculation, in this example select Latitude/Longitude and Add the converter. You should now have a field that’s ready for use in Yellowfin’s GIS maps.